viksilver: Sterling silver heart marble locket. Sterling silver heart marble locket. Sterling silver personalised heart marble locket. 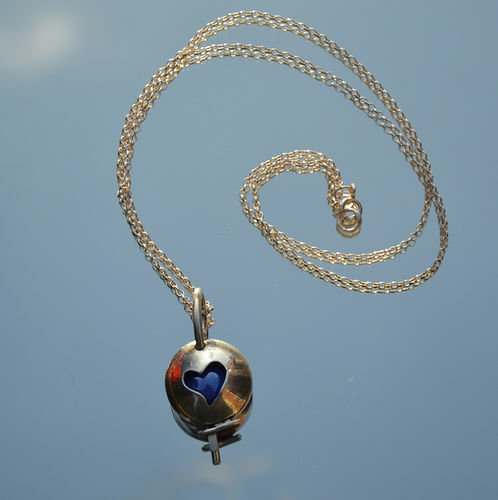 The locket is approximately 2 cm across and opens up so that you can swap the marbles. It comes with three different colours, red, blue, green but you can also add felted beads. It hangs on a 20 inch chain which can be altered to suit, if you let me know. It is hallmarked by the London Assay Office with my VW mark and will arrive in a silver box lovingly wrapped with a purple ribbon.